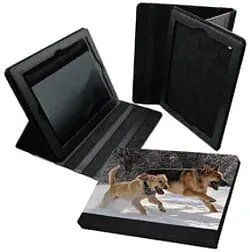 Item UNI4221 * iPad 2/3/4 Flex Frame Cover by ChromaLuxe, snap-on, Black Textured Plastic, uses interchangeable aluminum inserts (UNI4217 sold separately). Secure and personalizable. 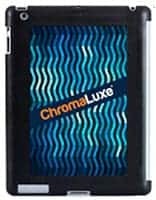 Item UNI4217 * White Gloss ChromaLuxe® High Definition Aluminum Insert 5.131″ x 7.731″ for iPad2/3 Covers (UNI4221 sold separately). 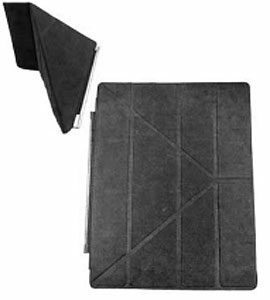 Item UNI4415 * iPad Air Grip Case SwitchCase™ Black Matte Grip™ Case for the iPad Air®. This case has nice TPU rubber grip sides and uses interchangeable insert UNI4441, sold separately. Item UNI4225 * iPad Mini Case – Black Textured Unisub® Flex Frame. This sturdy cover displays interchangeable inserts (sold separately – UNI4239). Item UNI4239 * Unisub® White Gloss High Definition Aluminum Insert, for the Flex frames that fit the iPad Mini®, sold separately (UNI4225), 4.13″ x 6.44″ x .030″. * Print out the image onto image transfer paper . * Cover the back (non-coated side) with a piece of regular white print paper to prevent unwanted image transfer to the heating device). · Initially prepare the artwork and size the transfer to the size of the imaging area. · Be sure to “mirror” the image for correct reading. · Remove any lint or residue which may be on the imaging area. · Extra care is required when pressing these products. Insure that the leather parts of the flap are covered with heat tape, silicone paper or a Teflon sheet. The parts that are not being printed on should not be in direct contact with the platen of the heat press. · Prepress for 10 seconds at 390ºF (198°C). · Lay a protective piece of paper on the bottom of the press. · Using heat resistant tape, fasten the transfer to imaging area, image side down. · Place the cover on the heat press with transfer on top. · Cover with a sheet of protective paper. · Remove transfer while hot.